For a long time, the only doors that existed were the traditional ones, but in this age of human comfort, more and more things are incorporated into our daily life to improve it. Automatic doors are much more than a simple object and nowadays can be the big difference between a modern, fresh and comfortable business and an old one, closed and without comfort for potential customers. What are automatic doors ? Automatic doors are, as the name implies, doors that have an automation system that allows it to open and close alone and according to the established parameters. In general, they work by means of a sensor that activates when someone enters the place so that the door opens. This automation began more than anything with the elevator doors, which open and close after a few seconds and to allow the entry and exit of passengers. This technology, however, was extended to the entrance doors of different establishments, with the main objective of making it less laborious to open them for the elderly or with some type of disability. Automatic doors are also very useful in places where people often have their hands busy, such as in supermarkets, hospitals, etc. Also automatic doors are comes with different types like high speed doors which are used in industrial areas.The silence that it grants, of course, is an extra point, since in the places very busy and boisterous. How automatic doors work ? The automatic doors work by means of sliding trolleys that hold the door leaves, whatever the material they are. The cars are dragged by a toothed belt also called the belt matrix, which works with a 24-volt motor. The doors are equipped with a sensor that sends signals when, for example, a person stands in front of the door. Thanks to it is that the door opens and closes automatically. The opening and closing movements are controlled by a system that prevents the system from being misaligned, it grants the speeds to open and close the doors, as well as the security system in case of problems or failures in the system. Last but not least, the automatic doors also have an infrared bar that allows you to recognize when someone is passing the door and an anti-panic opening, in case someone accidentally brushes the door. What aspects improve with regard to comfort? A business with automatic doors is not only a modern place, but it provides its customers with more service and comfort. There are certain areas in which it is difficult to open the doors, either because people are very old or because customers have many bags in their hands. So in places like supermarkets, for example, automatic doors are a necessity, since customers leave the place with their hands busy or with a shopping cart due to the amount of things they bought. The same happens in appliance stores, clothing stores, etc. Comfort is vital in certain areas, such as beauty. Nail salons, for example, have a clientele that if you use your hands can spoil it by being newly enameled. While it is not 100% necessary to have this type of door, it ends up being an extra service that customers recognize. Security: These types of doors, in general, are very safe and contain a high-tech security mechanism. In addition, glass can be ordered bulletproof, for example. Saving time: If you currently have a traditional door, you know that it can be very unsafe to keep it open all the time and there is nothing more annoying than having to open and close the door when a potential client arrives. 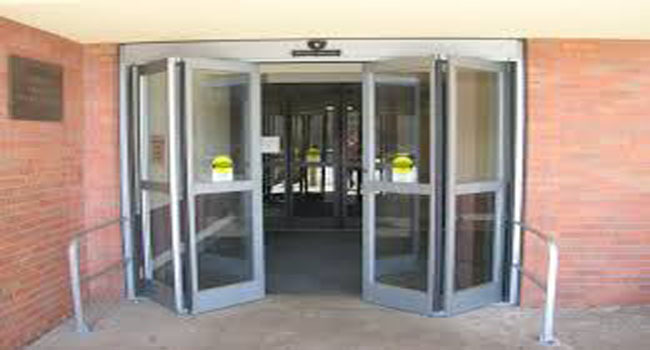 Low maintenance: The maintenance of the automatic doors is very low, since they are of good quality and high technology. In addition, in many cases they come with a guarantee for different situations. Practical design: You can adapt almost any design to be an automatic door, so you can surely find one that suits the tastes and style of your business. How to use Mood Boards with design logos ? How to grow your animated creativity ?